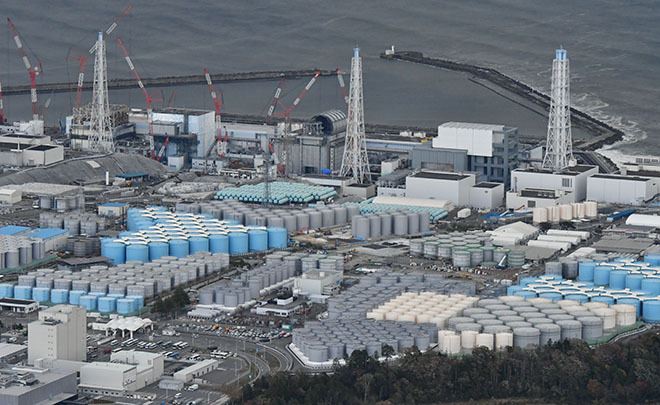 Nearly 1 million tons of highly contaminated water is contained in storage tanks on the Fukushima site, increasing by over 4000 tons each month. The government, nuclear regulator and the IAEA all support discharging this water into the Pacific. When the Fukushima disaster began eight years ago, we realized that we needed to take action – and to find others who were also galvanized into action to prevent a Fukushima-like tragedy from happening here in California. 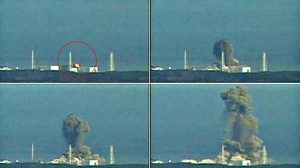 We knew the two nuclear power stations then in operation, Diablo Canyon in San Luis Obispo and San Onofre in San Clemente, are sited in tsunami and earthquake zones, just as in Fukushima. Since that fateful day in 2011, we’ve been working on a documentary due to be released this year, SHUTDOWN – The San Onofre Story. 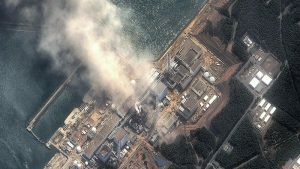 Alarmed by Fukushima, southern Californian residents win a fight to shut down their leaking nuclear power plant, but they soon discover the threat isn’t over and find themselves battling tons of nuclear waste being dumped, in damaged canisters, just yards from the rising sea. With a cascade of scheduled shutdowns of America’s fleet of aged nuclear plants just beginning, The San Onofre Story is a preview of the issue soon to be facing other reactor communities across the country: With no national repository in existence, what do we do with decades of accumulated highly radioactive waste that will be deadly for over a million years? 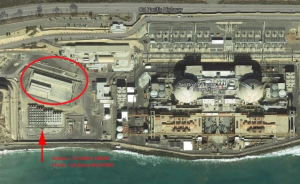 Will the serious mistakes handling radioactive waste at San Onofre contribute to a Fukushima-like future for southern California? 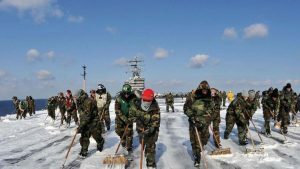 US Naval personnel serving as part of the ‘Operation Tomadachi’ Fukushima relief mission were the first Americans to be impacted by radioactive fallout from the disaster (but probably not the last). Hundreds have experienced serious health effects, cancer ridden babies and some have died. Expectations that they could expect justice in a Japanese court is delusional. 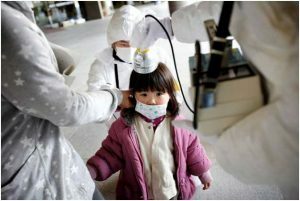 As the article notes, “To seek remedy in Japan, the sailors would have to be able to afford the trip, be healthy enough to travel, hire a Japanese lawyer, have their medical records translated, and appear before a tribunal. This is a deeply unjust and tragic outcome for this heartbreaking situation that we have been covering since 2012. Our video reports on the case have had thousands of views. 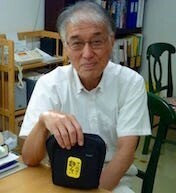 Koide Hiroaki, retired nuclear scientist from the Kyoto University Reactor Research Institute (presently called the Kyoto University Institute for Integrated Radiation and Nuclear Science Research), is arguably the most celebrated critic of nuclear power and the handling of the Fukushima disaster. agencies, vendors and speakers from Germany and the U.S. to present options to the group. 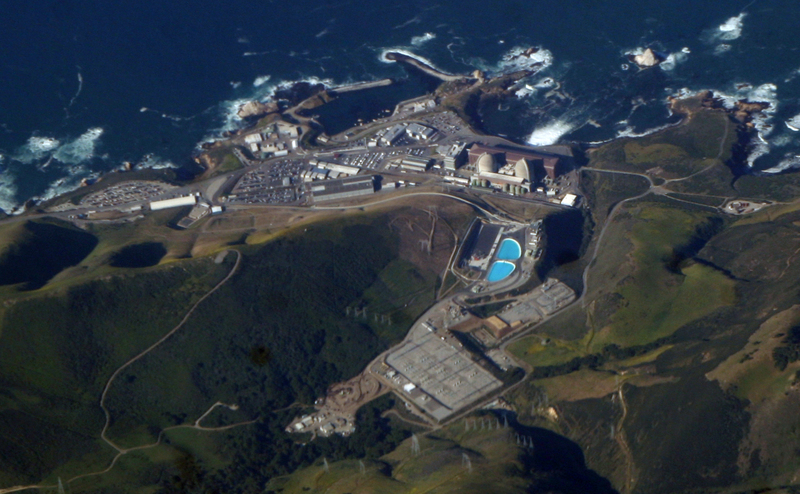 The advisory panel is under the auspices of PG&E, Diablo Canyon’s operator. Day One: PG&E, Government Agencies,Vendors and Beyond Nuclear’s Kevin Kamps. 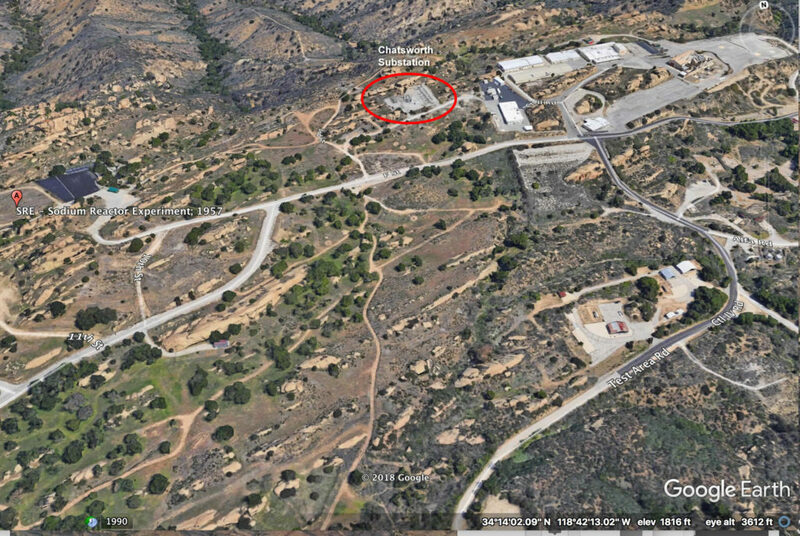 U.S. nuclear vendor Holtec, whose flawed engineering of canister downloads at San Onofre damaged all the irradiated fuel filled canisters and required a major investigation by the NRC, hired as their representative to the San Luis Obispo panel, former PG&E employee, Jearl Strickland. Strickland explained that he’d been tasked by Holtec to help with the San Onofre snafus and major mishaps. He was grilled by the panel on the San Onofre problems. Holtec is also the vendor chosen by PG&E to provide dry cask storage for their high level radioactive waste. Strickland assured the Diablo Canyon panel that San Onofre was now ok.
Kevin Kamps of Beyond Nuclear presented information to the group that emphasized the concept of HOSS: Hardened Onsite Storage as being recommended by the nuclear safety community. Molly Johnson of Mother’s for Peace, SLO, presented Nuclear Radiation 101 for the workshop. Concerned residents from southern California working on the severe safety risks at San Onofre, Donna Gilmore, of San Onofre Safety and Torgen and Lindsay Johnson and their children, Layse and Enzo Johnson, Samuel Lawrence Foundation, made the long drive up to the workshop . 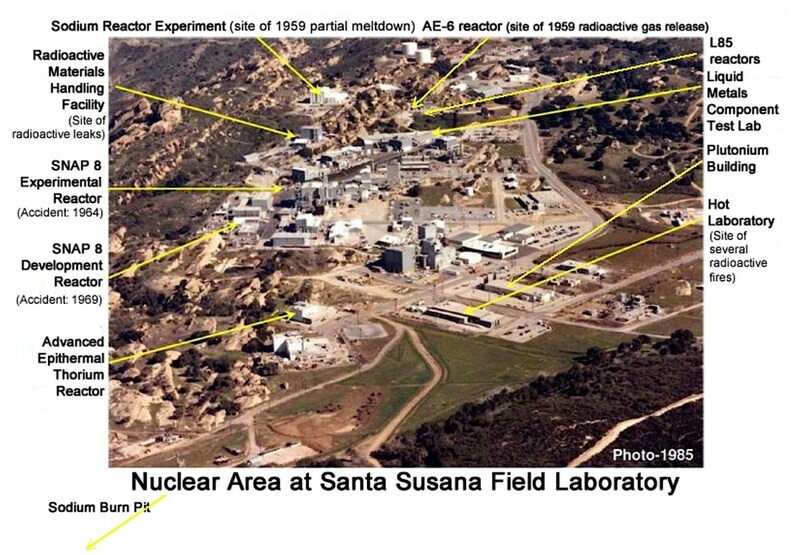 They all warned the panel of their experiences with lies told and safety violations at San Onofre. They advised their northern neighbors to be wary of Holtec. The children made a plea for their future safety. They’re lemons, send ’em back! 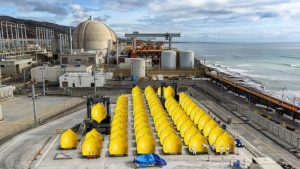 – The San Onofre beachside nuclear waste storage facility is DEFECTIVE and must be RECALLED to prevent nuclear disaster in Southern California and beyond. • and makes note of the new CASTOR cask system, which appears to be compliant with the dual-wall design concept as raised in the HELMS proposal. 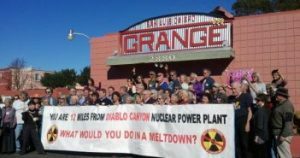 Jane Fonda, Ed Asner, Dr. Helen Caldicott & 1000s of other Californians want the Diablo Canyon Nuclear Plant to go through rigorous safety testing following Fairewinds 2017 report showing that PG&E is deferring millions of dollars of vital maintenance work. This Fairewinds Report by Chief Nuclear Engineer Arni Gundersen tells why. Deferring maintenance of critical energy infrastructure can lead to death and devastation as evidenced by two major episodes in California. Pacific Gas & Electric (PG&E) has a history of deferring maintenance, most notably of gas pipelines that led to 8 deaths in the San Bruno suburb of San Francisco September 9, 2010, and more recently, it was PG&E’s lack of maintenance on electrical wires that likely sparked California’s deadly Camp Fire Blaze in November 2018 that led to the deaths of at least 85 people. In 2016, Arnie Gundersen of Fairewinds Associates Inc was retained by Mothers For Peace in San Luis Obispo to analyze documents presented by PG&E regarding the condition of the Diablo Canyon Nuclear Power Plant and to write a report for the California Public Utilities Control (CPUC) assessing its current condition for continued operation. Diablo Canyon was designed, built, and operated by PG&E beginning in 1965. Fairewinds identified numerous examples of dangerously deferred maintenance for critical mechanical portions of the Diablo Canyon atomic power plant that were submitted in Mr. Gundersen’s testimony to the CPUC on January 27th, 2017. 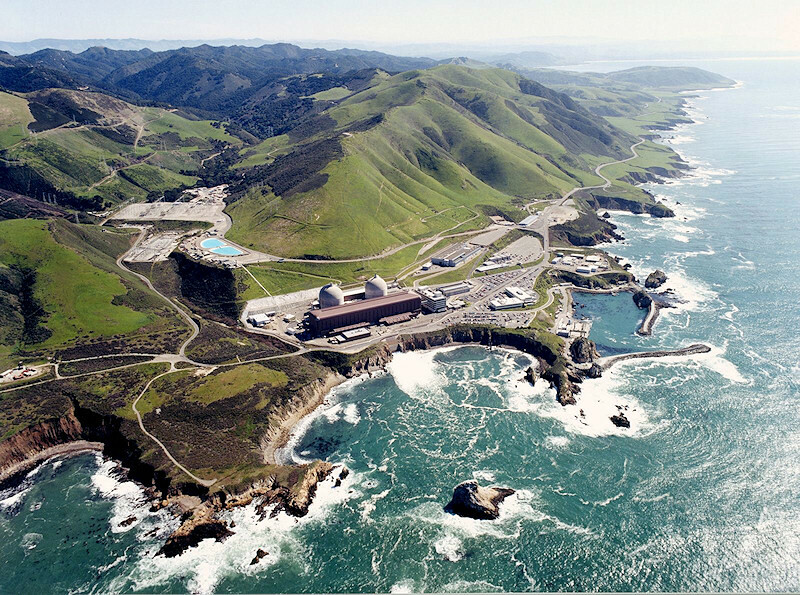 The Fairewinds’ report was submitted today as part of a petition, endorsed by Jane Fonda, Ed Asner, as well as numerous other celebrities, academics, and activist groups, that was sent to California Governor Gavin Newsom asking that Diablo Canyon undergo rigorous safety testing to ensure it is as safe as PG&E claims. Now that PG&E filed for bankruptcy protection on January 29th, 2019, it is likely that new cash constraints will further delay critical plant repairs. Delay of these vital repairs at Diablo Canyon further exacerbates the ongoing danger of operating an aging nuclear power plant that has severe mechanical deficiencies and is located on numerous earthquake faults. To be delivered to Michael Picker, Pres., Public Utilities Commission, Liane Randolph, Commissioner, Public Utilities Commission, Martha Guzman Aceves, Commissioner, Public Utilities Commission, Clifford Rechtschaffen, Commissioner, California Public Utilities Commission, Governor Gavin Newsom, The California State House, The California State Senate We, the people of California, ask Governor Newsom and other state leaders to order the controversial Diablo Canyon nuclear plant tested for potential dangers involving seismic vulnerability, pressure vessel damage and nuclear waste leakage before the reactor is allowed to re-open after being shut down for refueling in February. 1,025 signatures. NEW goal – We need 2,000! 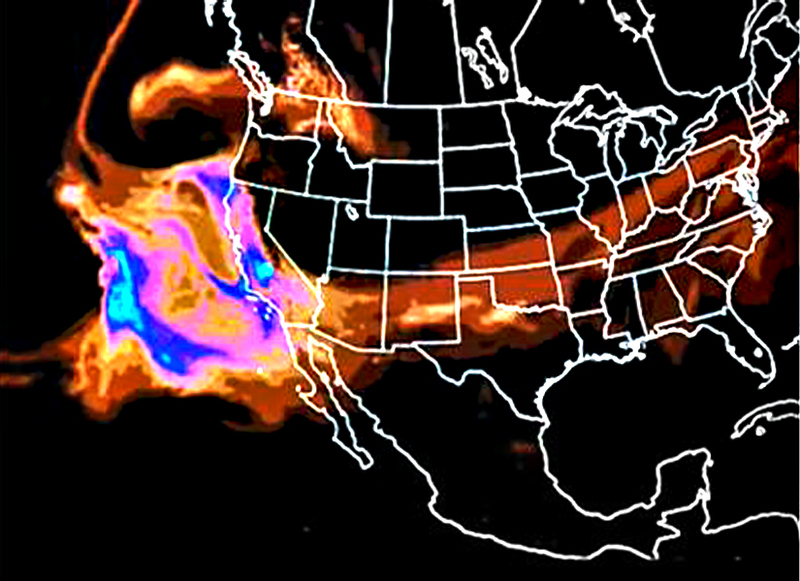 Posted in Uncategorized	| Comments Off on Shutdown Diablo – No Fukushima in California! This shutdown provides the perfect opportunity to examine the facility without unduly halting operations. 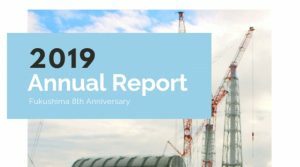 We do not ask that the reactor be permanently closed – only that it be tested to prove it is safe to restart, The proposed insertion of a new fuel rod assembly at Unit One will cost PG&E an estimated $50-100 million. 1. EMBRITTLEMENT: In 2005 the Nuclear Regulatory Commission warned that Diablo Unit One was among the five most embrittled reactors in the US. Because the internals of all atomic reactors are subjected to intense intense heat, pressure and radiation, critical metals and welds can lose their resiliency. Should cold water be poured in to contain a runaway reaction, embrittled components can shatter, leading to catastrophe. 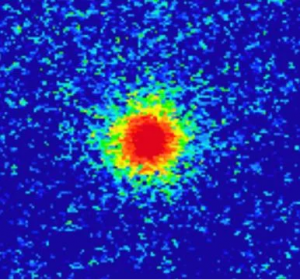 The degree of embrittlement at Unit One can be easily and cheaply tested while it is down for refueling using “coupons” (bits of metal inserted into key parts of the reactor for precisely this purpose) for destructive analysis. Note that Unit One was built with an inordinate amount of copper, which may make it more vulnerable than most to embrittlement. The test results must be made public and subjected to a public hearing. 2. 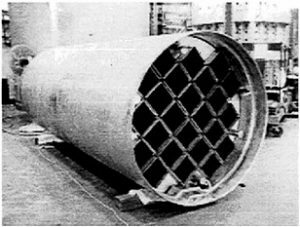 COMPONENT CRACKING: All reactor pressure vessels and other key components can develop cracks under the high temperatures, pressure and radiation involved in a fission reaction. Unit One’s age makes it imperative that ultra-sound devices be deployed to inspect the reactor’s internals. Such tests can be done relatively easily and cheaply while the reactor is shut. Again, the findings must be made public and subjected to open hearings. 3. DEFERRED MAINTENANCE: Since perhaps as early as 2010, PG&E has been deferring key repairs and component replacements on the assumption that Diablo would close no later than its 2025 license expiration. It’s imperative the state, bankruptcy court and public see exactly what PG&E has not done and does not plan to do in the six years remaining on its license. 4. WASTE MANAGEMENT: Cracking and mishandling of dry casks and other issues at other nuclear sites, including San Onofre, make essential a full evaluation of waste management issues at Diablo. In particular, it appears PG&E plans to store Diablo’s extremely radioactive spent fuel arrays in Holtec casks that are less than one inch thick. By contrast, Germany stores its spent fuel assemblies in casks that are 19 inches thick. This demands public scrutiny. 5. SEISMIC VULNERABILITY: A dozen earthquake faults have been discovered surrounding Diablo since Unit One was designed. NRC site inspector Dr. Michael Peck, in residence at Diablo for five years, has warned the reactors might not withstand a credible quake. Dr. Peck’s initial memo was buried by the Nuclear Regulatory Commission, and he was transferred to Tennessee. However, he has written publicly about his concerns. Note that Diablo is half the distance from the San Andreas fault as was Fukushima from the epicenter of the quake that destroyed it. Dr. Peck must be publicly debriefed and the seismic issues at Diablo subjected to an open hearing before Unit One is reloaded. 6. 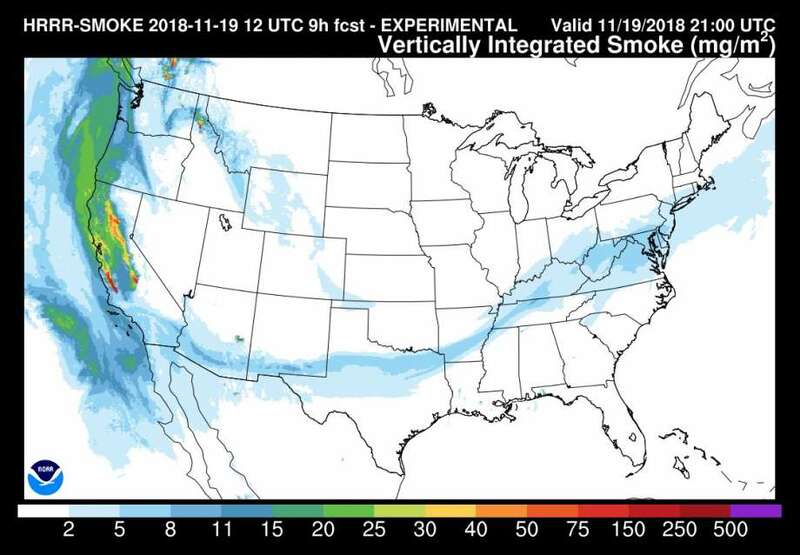 PG&E’S COMPETENCE: PG&E is entering bankruptcy while implicated in eight deaths in San Bruno, unimaginable destruction in northern California, and much more. 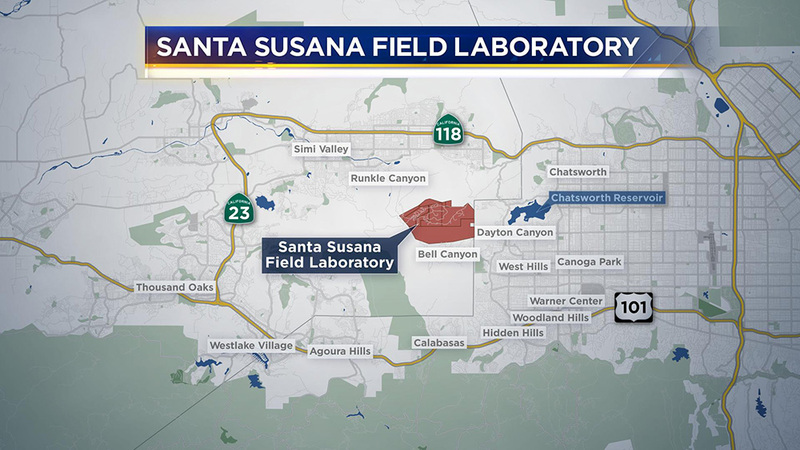 The company’s financial and managerial abilities to operate a large nuclear facility like Diablo are in serious question. The imminent $50-100 million installation of a new fuel rod assembly must be stopped, at least until there is proof Unit One is safe, to protect the legitimate claims of the bankrupt utility’s shareholders, creditors, and catastrophe victims. 7. USEFUL? At this point California is awash in electric power supply and probably does not need Diablo’s capacity. Nor is it likely the electricity produced at Diablo can economically compete with the onrush of renewables. In fact, PG&E has admitted all Diablo’s power can be replaced with available renewables. 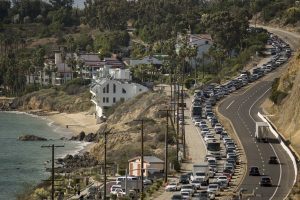 Furthermore, because it cannot easily shut and restart to meet fluctuating demand, Diablo’s presence on the grid can be a burden, resulting in the shutdown of renewable facilities from time to time.